September 04, 2018 at 12:06 pm. LSU linebacker K’Lavon Chaisson will miss the rest of the season with an injury, coach Ed Orgeron said Tuesday. Chaisson appeared to injure his knee in the fourth quarter of the Tigers’ 33-17 win over Miami (Fla.) on Sunday. 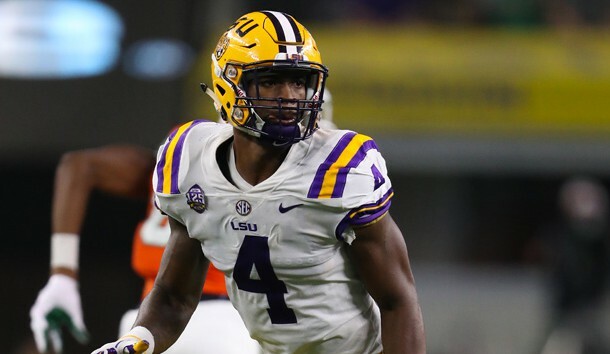 LSU had high hopes for Chaisson, who was expected to succeed Arden Key as the team’s edge rusher in its 3-4 alignment. Chaisson earned a spot on the 2017 SEC All-Freshman team after playing in 12 games last season. He registered 27 tackles, two sacks and 4.5 tackles for loss in his rookie campaign. The 6-foot-4, 238-pound Chaisson had five tackles and a sack against the Hurricanes on Sunday. Sophomore Andre Anthony, who also is listed at 6-4 and 238 pounds, is expected to replace Chaisson in the lineup. Also on Tuesday, Orgeron announced that starting right tackle Adrian Magee will miss two or three weeks after sustaining an injury. Magee, who is a junior, appeared to injure his left leg during Sunday’s contest and was carted to the locker room. Junior college transfer Badara Traore finished the game in place of Magee.